Telecoms watchdog Ofcom is to begin reviewing charges made by mobile phone operators - which it says may lead to cheaper calls for customers. It is to probe mobile termination rates - the fees operators charge for connecting to one another's networks. In 2007 Ofcom set a programme for these rates to fall by about 25% by 2011. Its latest consultation will examine the charges from 2011 to 2015. Termination rates make up 14 pence in every £1 spent on calls to mobiles. Ofcom says there are "radical alternatives" to the current system. "Lower termination rates are likely to mean that mobile operators have more flexibility in designing competitive call packages, and pass these benefits and any reduced prices on to customers," Ofcom said in a statement. It added that the consultation, which set out six options, would offer "consumers and industry an opportunity to debate the fundamental questions". Options include maintaining the current system, which has reduced rates year on year, deregulating termination charges, and cutting termination rates so much that they are effectively set at zero. "The role of termination rates in mobile services has attracted enormous controversy. That is why we are determined to examine them from first principles," said Ed Richards, chief executive of Ofcom. 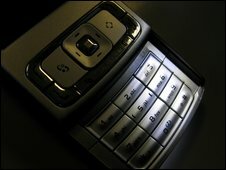 Separately, Ofcom said that customers who complain about their mobile operators will have their disputes handled more quickly. Currently customers have to give their operator 12 weeks to resolve the issue before they can go to an independent resolution service. From 1 September that time will be cut to eight weeks.